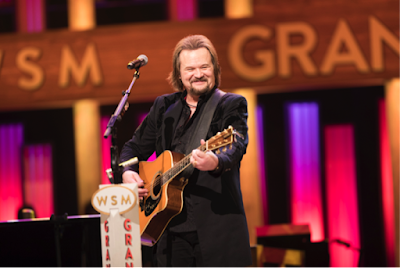 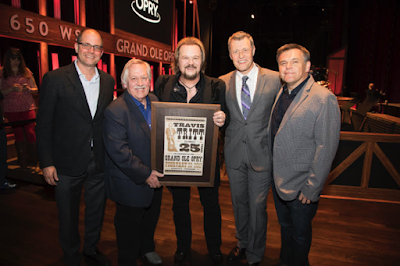 Travis Tritt celebrated his 25th anniversary of becoming an Opry member Tuesday night, February 28. During Tritt’s 30-minute set, the legendary John Conlee presented Tritt with a commemorative plaque congratulating the singer for his long-lived relationship with the Opry. While standing inside the famous six-foot circle on stage, Tritt expressed his feelings about the night, telling the crowd that being a member of the Opry is the “biggest honor of my life.” Backstage, prior to his 25th anniversary performance, Opry executives surprised Tritt with a cake to further celebrate the historic night. For more information on Travis Tritt, visit his website TravisTritt.com. 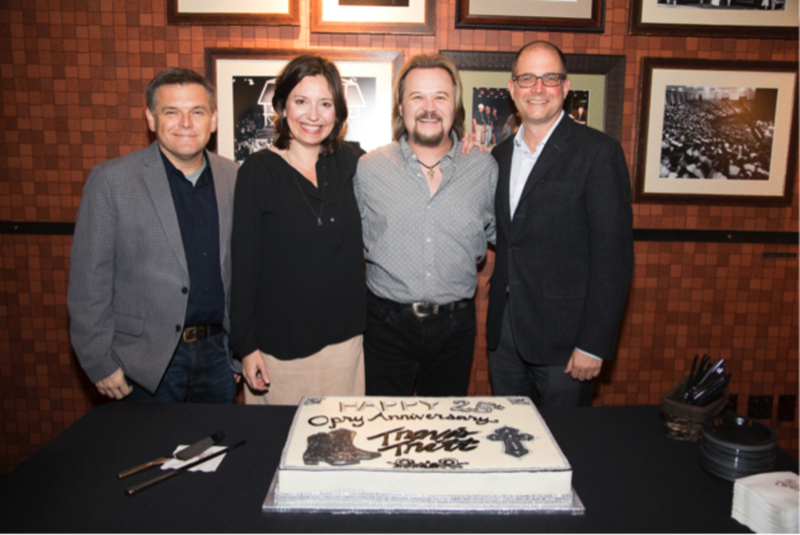 Pictured here L to R: Dan Rogers (Opry Entertainment), Sally Williams (Opry Entertainment), Travis Tritt, and Michael Guth (Opry Entertainment).